Do you want to blast away those post-holiday blues? 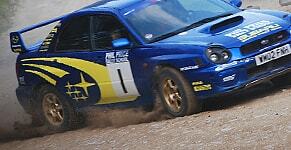 Simply pay a visit to Wales and have a heart-hammering rally experience at Phil Price Rally School. Our venue is one of the best in the UK for rally driving, with over three miles of dramatic rally stages on which to test your skills. You also won’t beat our instructors when it comes to enthusiasm- we are hugely passionate about this motor sport and want our enthusiasm to rub off on you! Our One Day Intense Course is the perfect gift for all sorts of occasions along with a wonderful way to treat yourself. 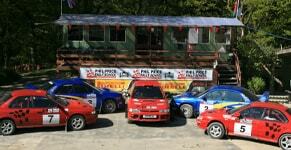 Our team at Phil Price Rally School have over 20 years of experience and are dedicated to giving you the most unforgettable experience imaginable. We have four fully prepared Subaru rally cars for every course, and three instructors who can give you one-on-one tuition. Our 7-hour driving experiences include a competition against other participants, which gives the chance to win a trophy. We’ll ensure you spend as little time possible on theory, before moving onto using your newly learnt skills. You’ll also enjoy a huge buffet lunch with plenty of tasty treats. Previous visitors have described our driving experiences as a ‘phenomenal day out’ and ‘blooming amazing’, with one participant saying it was one of the best days he’s ever had. But don’t just take our word for it- why not check out our testimonials?